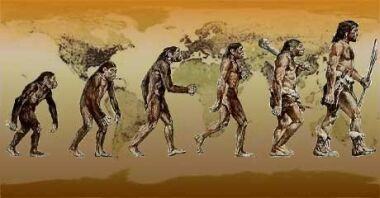 Home Eco Friendly Guide	Did Humans Evolve Through Climate Change?! While on the one hand, climate change is threatening our long-term future on the planet, on the other, scientists are claiming it to have helped bring us into being in the first place! Spurring our ancestors to stand tall on two legs, grow large brains, and develop other human traits, ancient climate changes acted as powerful evolutionary drivers — some human-origins theories suggest. So this is how the theories go — the evolution of early human species was concentrated in periods marked by fluctuating environmental conditions. So, if this theory proves correct, should we conclude that Darwin was wrong?